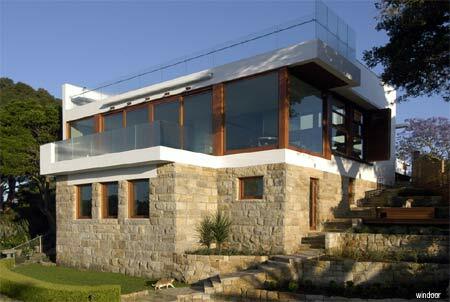 Windows are an important element in how a home looks. 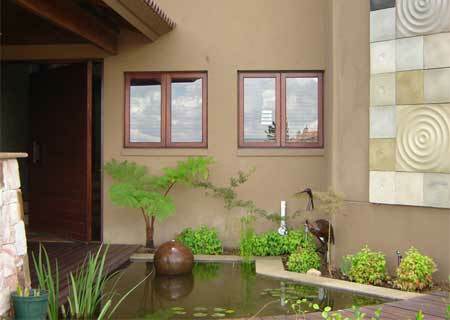 From a design point of view window styles are suited to particular styles of homes. 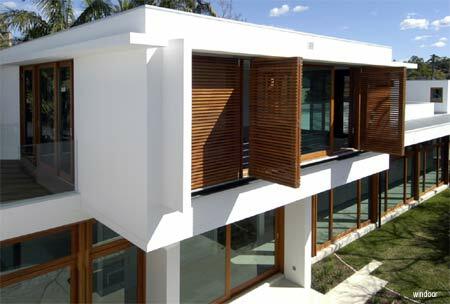 Windows are the opening to the outside world and play a vital role in transmitting light into a home and heat energy into and out of the home. They also play a vital role in controlling air circulation. Opening your house to the outside and giving maximum ventilation, full pane windows allow for breathability and versatility across a variety of design applications. It's side-hung design helps to create a sense of space and is the perfect complement to open plan living. Casement windows are typically hinged on the side and can be opened outward to capture the breeze and direct it into the home regardless of wind direction. 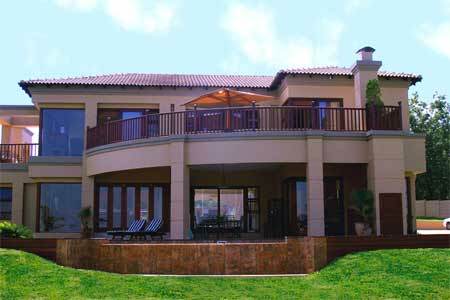 Regular maintenance of your windows is of utmost importance to keep wood protected and aesthetically beautiful, especially in South Africa where harsh conditions such as extreme climate and humidity changes occur. Neglecting to treat or incorrect treatment of a wooden product will result in and assist with rapid deterioration of timber. When purchasing wood windows, doors or other exterior feature, it is essential to seal with a penetrating wood sealer immediately after delivery and prior to installation. This sealing of the timber is essential to limit the periodic movement of moisture into and out of wood. Moisture causes the cell walls to swell and shrink and ultimately without the correct protection and maintenance the timber will crack, split and warp. It is therefore of utmost importance to seal the end grains at the top and bottom of the door where the most absorption and loss of moisture takes place. Use an exterior sealer such as Woodoc 30 or 35 for inland regions and Woodoc 50 or 55 for coastal regions. On delivery, lightly sand the product and apply a first coat of wood sealer as a base coat to stain and protect the timber. Lightly sand the base coat to remove any rough areas but not remove the first coat and apply a second coat on all six sides to seal the timber. Make sure to seal any exposed raw timber during installation procedure (fitting of locks, handles etc.). After fitment, apply a third finishing coat of sealer and thereafter depending on the prevailing conditions to which the timber is subjected, treat regularly as needed to preserve timber. 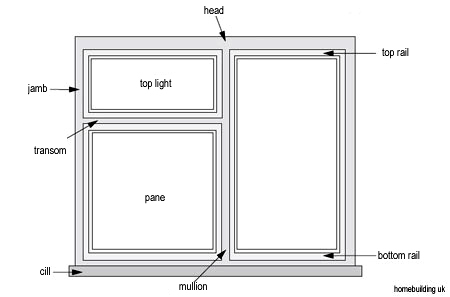 Top hung windows are held open by a stay or holed latch. Top hung windows not only add a sense of space on an aesthetic level, but also improve ventilation on a practical one. 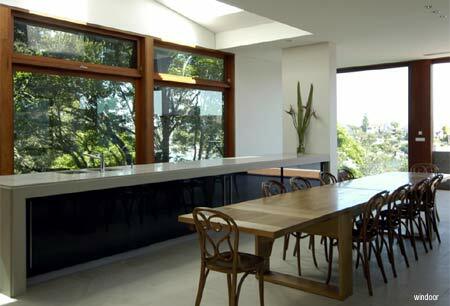 Sashless windows are a popular choice with architects and interior designers. As two panes of glass, which overlap when opening or closing, they deliver the look of fixed glass with the practicality of a window that is easy to operate. The word ‘sash’ simply refers to a single frame for glazing. 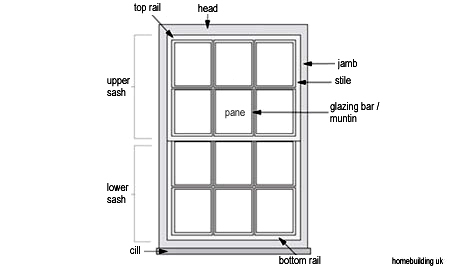 A traditional ‘sliding sash’ window is usually made up of two sashes that slide up and down, one in front, and one behind, in vertical grooves, counterbalanced by lead weights on cords — though in many modern windows, the weights have been replaced with springs. Sliding sash windows can be opened at the top or bottom, or both, depending on the design, and though traditionally they have no outward swing, many modern designs tilt in and out for easy cleaning. Wood is very durable and an excellent insulator, and if taken care of properly, a timber frame can last for centuries. A common misconception is that timber windows are high maintenance, but with the use of Woodoc interior and exterior sealers – available in a wide range of stain colours – they really don’t require a lot of upkeep, just some periodic maintenance. To ensure that your new window frames do not bend or warp they should be stored flat on a level surface and not on the edge or end. Place them on blocks of wood so that they are raised from the floor. Storage should be in a dry, well ventilated area with normal humidity and not subjected to extreme heat changes.